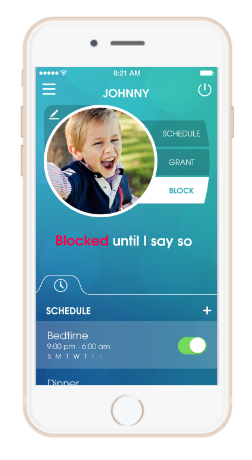 Parents: Over the long holiday we’ve fully implemented the OurPact app to control/curtail screen time for Pi. Anyone else using it? Any advice on achieving a happy middle ground between total block and total open? Like most modern kids, P is a voracious acquirer of information. She’s always had a single-minded focus towards whatever she’s interested in, and that’s made her into an excellent reader, and a great speaker. For which we are understandably proud. An example: since gymnastics has come into our lives she’s been pretty good at time management — she’ll get her homework done at gym before class starts so there’s rarely any homework when she gets home. But one place where we’ve had a bit of stress has been in the area of managing screentime. As she gets older and her buddies all text and have Instagram accounts, we’ve taken to charging the iPad and iPhone in the kitchen overnight, so the temptation of late-night texts or notifications won’t “beep” away sleep. When she started at Jenks this Fall, one of the online notices that came in concerned OurPact: an app to control a child’s screentime. It came as a PDF contract amid a flurry of flyers that they send weekly, letting us know what’s coming up, etc. The contract between child and parents does things like asserting screentime boundaries, agreeing that we, as parents, have the final say and that we don’t bring the hammer down without cause. We both signed back in August or September, and only occasionally had to refer to it…hoping that would be sufficient. You download the OurPact app from the AppStore ON YOUR PHONE, create a login tied to an email account. Once you get your confirmation that the account is active, you go to Safari on any device you want to control (iPhone, iPad, Android) and navigate to http://pair.ourpact.com. Enter in your login credentials, and that’s it. Back on your iPhone, you log back in and now there is a new device in the list, with the name harvested from your child’s device. Here’s where it REALLY gets fun: you create schedules (on each device profile) for when you want that device to be offline. We started with a schedule named BEDTIME and runs from 8:45pm–6:45am. So when 8:45pm happens — every app and game on your child’s device that has internet connectivity VANISHES from the screen. One can’t even take a photo: the Camera app is also gone. They all come back the next morning at 6:45am, but the icon placement may be different from original — it’s a bug they’re working on. They’ve left iMessage text capability (working on that one also, they say), which I’m actually fine with…good for security when one doesn’t have full phone functions — P does use it to contact us after school, at gymnastics, etc. You can also do a manual, full-on Block Until I Say So. I haven’t had to do it often. That first long weekend was a bit uncomfortable, as P was going through withdrawal and adjusted to the schedule. But then, an amazing thing happened: she started using her creativity again, interacting with us and the world. That weekend we also realized that she isn’t addicted to her electronics — but just that she was BORED with all her books. So after a hefty expenditure at Barnes & Noble, she was back to her old self again. Hmm it seems like your blog ate my first comment (it was extremely long) so I guess I’ll just sum it up what I had written and say, I’m thoroughly enjoying your blog. I too am an aspiring blog blogger but I’m still new to everything. Do you have any tips and hints for inpxeerienced blog writers? I’d certainly appreciate it. Hi, Millicent — best of luck to you. I am not anyone’s example on how best to proceed. I do this as much as a long-form alternative to Facebook, Twitter, etc. My best advice is read (not blog sites, but actual books), write, and develop a “voice” of one’s own. Then, whatever vehicle you land on, you’ll have something to say that’s uniquely you.